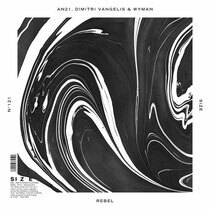 On January 20th SIZE Records releases ‘Rebel’, a three-way-dance track between AN21, Dimitri Vangelis & Wyman. Balancing the realms of A&R and touring DJ, AN21 has been enjoying the universal house music explosion. Also hailing from Sweden, Dimitri Vangelis & Wyman have quickly exploded onto the progressive house scene, garnering support from some of the biggest names in the industry. Having remixed AN21 & Max Vangeli vs Tiesto Feat. Lover Lover ‘People Of The Night’ to good results, Dimitri Vangelis & Wyman headed back to the board with AN21 for an original production that became ‘Rebel’. Check it out below.